Why do you need an iPhone? The Apple Watch has many capabilities, but it can’t do everything on its own. It works in tandem with your iPhone to perform many functions. Having an iPhone is not optional; you must have one to use your Apple Watch. • Set up your Apple Watch. • Manage, find, install, and uninstall third-party Apple Watch apps. • Handle tasks your Apple Watch needs to hand off, such as replying to emails or transferring calls. • Configure many Watch options and features. • Update WatchOS, the Apple Watch operating system. • Customize notifications on the Apple Watch. • Act as a gateway to Wi-Fi networks. 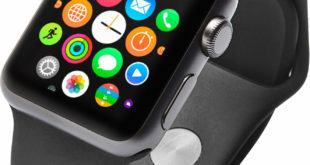 • Backup and restore your Apple Watch’s settings, information, and apps. • Organize the location of apps on your Apple Watch’s Home screen. 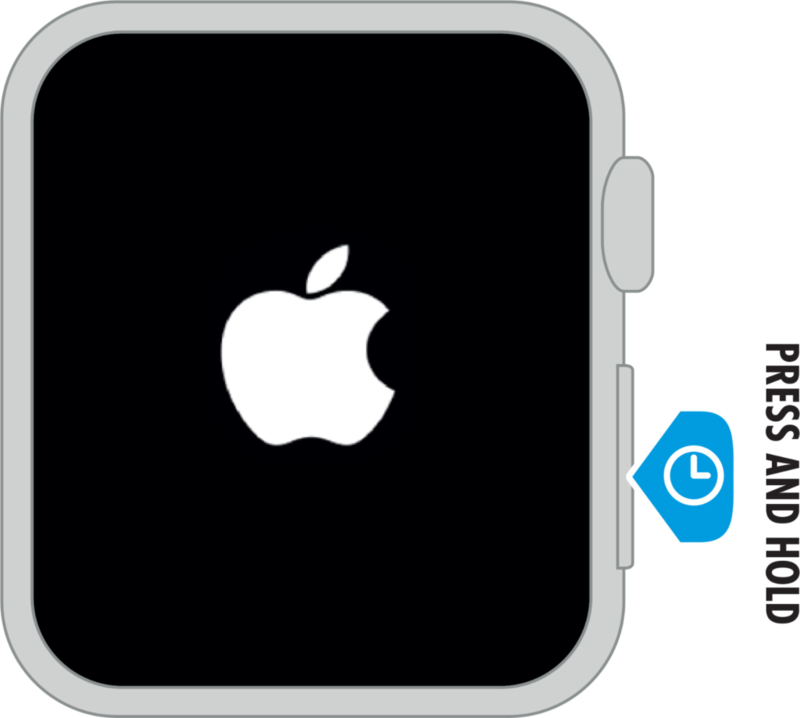 • Add debit and credit cards to Apple Pay for your Apple Watch. Apple Watch and iPhone communicate through Bluetooth, a wireless communication protocol that is built into both devices. Bluetooth is already enabled by default on Apple Watch (as a matter of fact, it can’t be turned off), but you may not have it enabled on your iPhone. 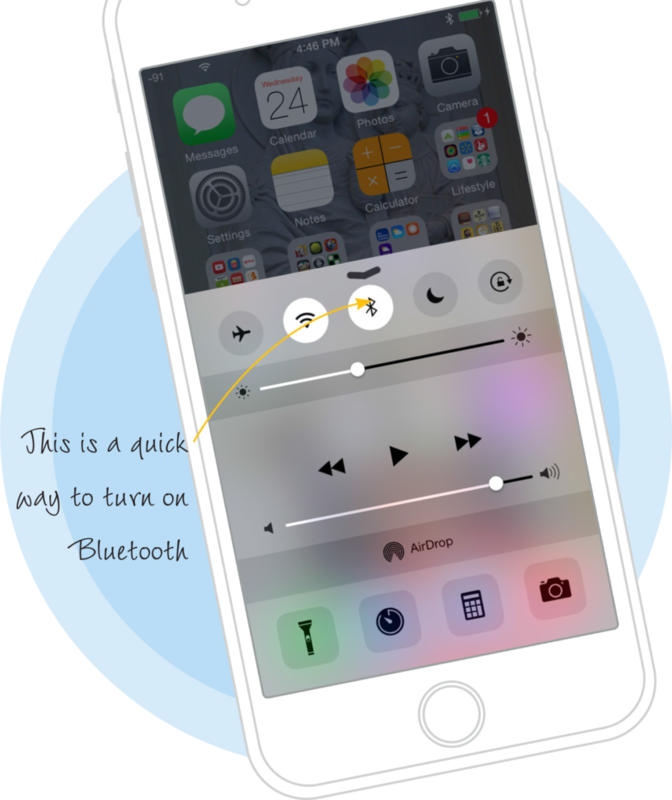 Bluetooth must be enabled on your iPhone before you can even begin to get out of the gate. 1 Swipe up on your iPhone’s screen to open the Control Center. 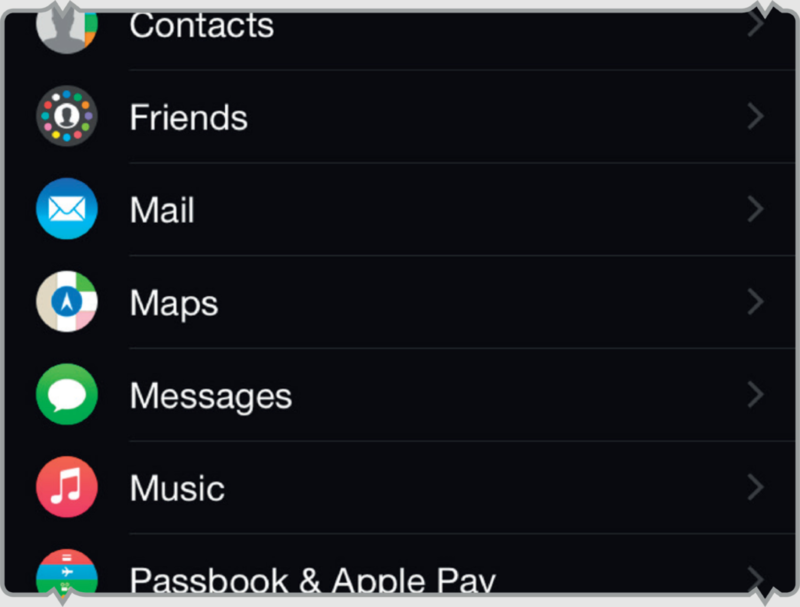 2 Tap the Bluetooth icon (looks like a capital B with wings) in the upper-middle of the Control Center area. If the icon is white, Bluetooth is already enabled. iOS is the name of the operating system that controls your iPhone. 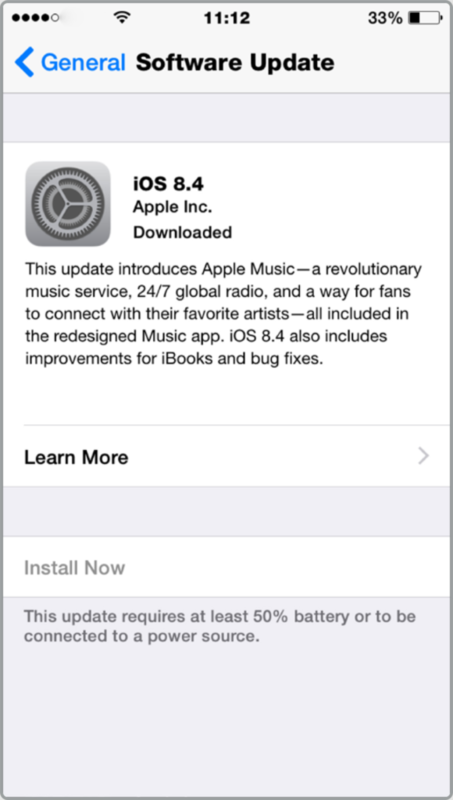 It’s necessary to update your iPhone to version 8.2 or later in order to use your Apple Watch. Version 8.2 was the first version of iOS to include the Apple Watch app, which is how you set up, manage, and update your Watch. 1 Tap the Settings app on your iPhone. 2 Tap General and then tap Software Update. iPhone checks to see if there is an iOS update available. 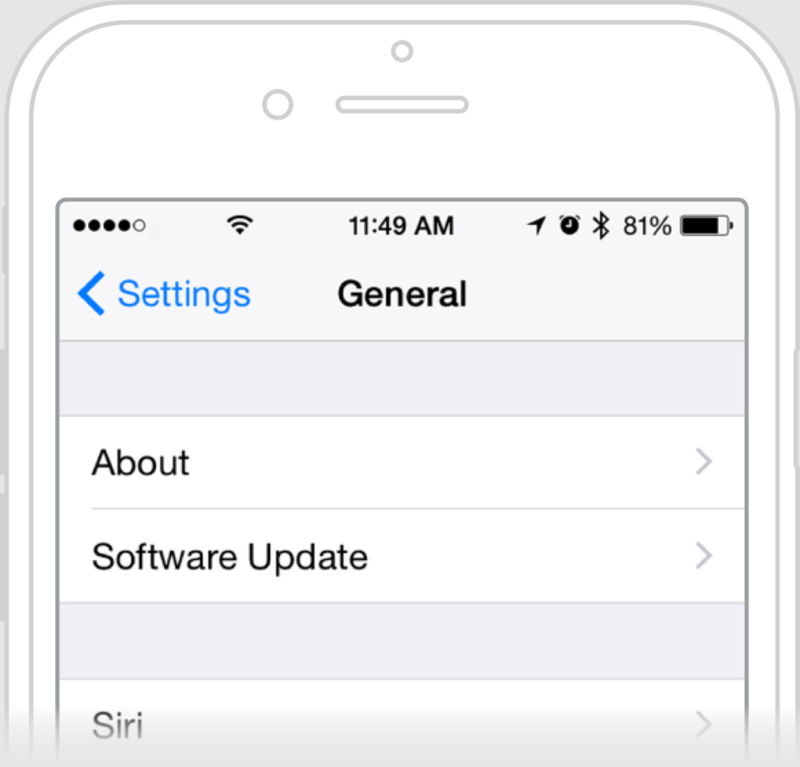 3 If your iPhone reports that you have the latest version of iOS, then you’re good to go. If not, follow the instructions provided on your iPhone for updating. 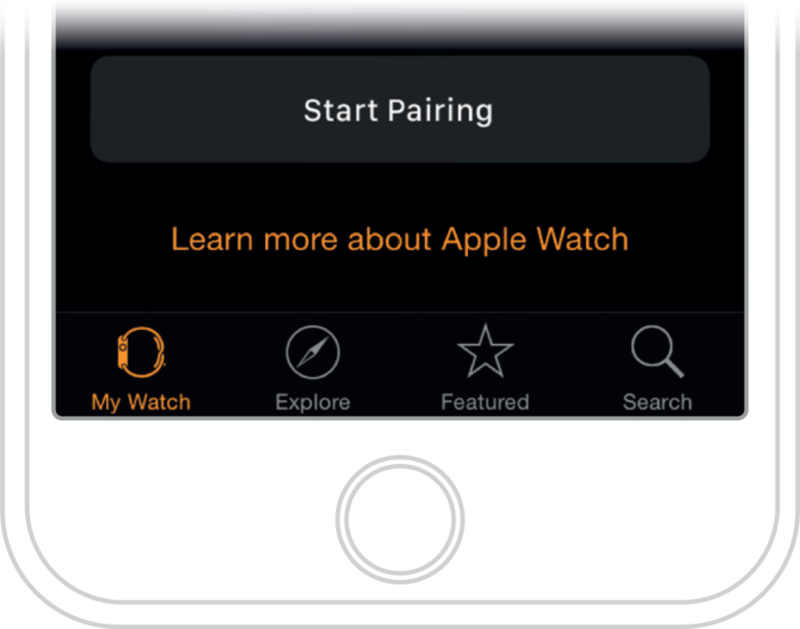 To pair your iPhone with Apple Watch means to connect them to one another. This pairing is absolutely crucial to working with Apple Watch. Luckily, it’s a cinch to get the devices paired up. 1 Open the Apple Watch app on your iPhone. 2 Turn on your Apple Watch by pressing and holding the side button until the Apple logo appears. 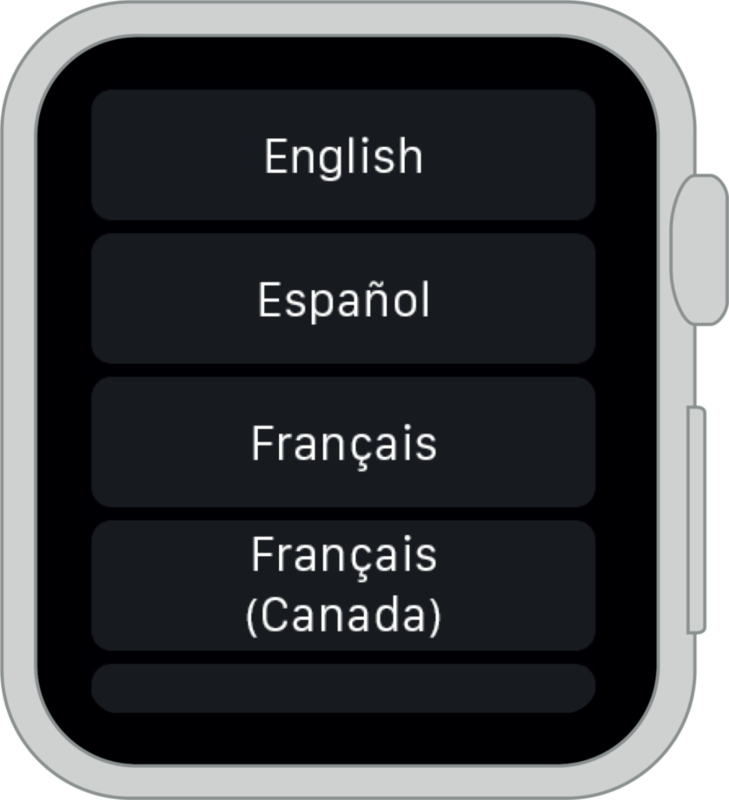 3 Select a language on the Apple Watch display. Rotate the Digital Crown to scroll through the list. 4 Tap Start Pairing on your iPhone and your Apple Watch. 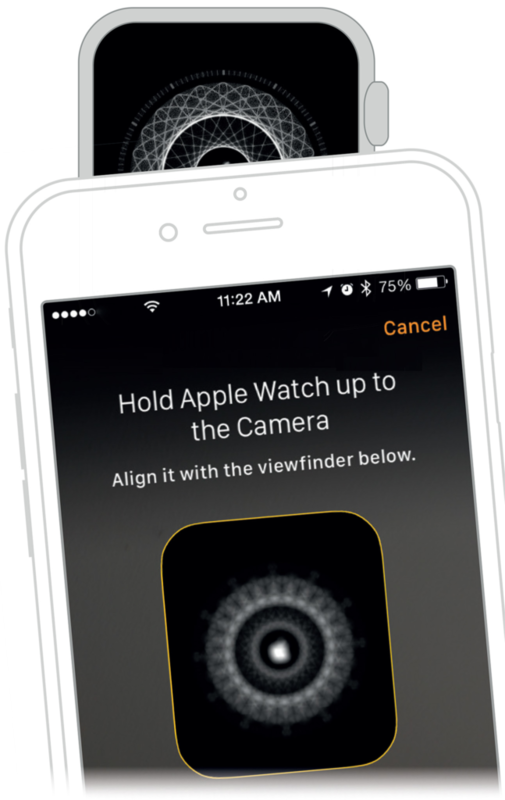 5 When the pairing animation appears on your Apple Watch, point your iPhone’s camera at it, and line the Watch up in the window provided. 6 If pairing completed successfully, tap Set Up as New Apple Watch on your iPhone. 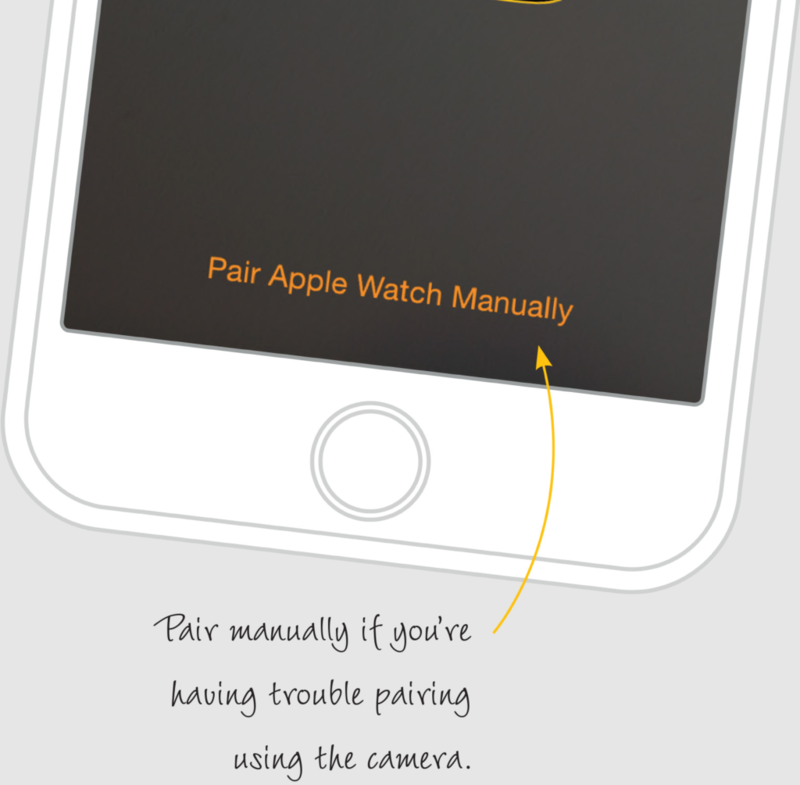 If you run into problems, you’ll need to pair your Apple Watch manually. 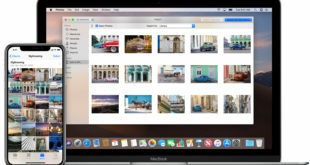 You may have noticed the option to restore from Backup after your devices were successfully paired. This option allows you to restore settings and information on your Apple Watch if it’s been set up and backed up before. 1 Tap the Info icon on your Apple Watch’s display. You will see the name of your Apple Watch on its display. 2 On your iPhone, tap your Apple Watch’s name that appears on the screen. 3 Your Apple Watch will show a six-digit code; enter that code on your iPhone to pair the devices. 1 Select the wrist on which you’ll wear your Apple Watch on and then agree to the Terms and Conditions. 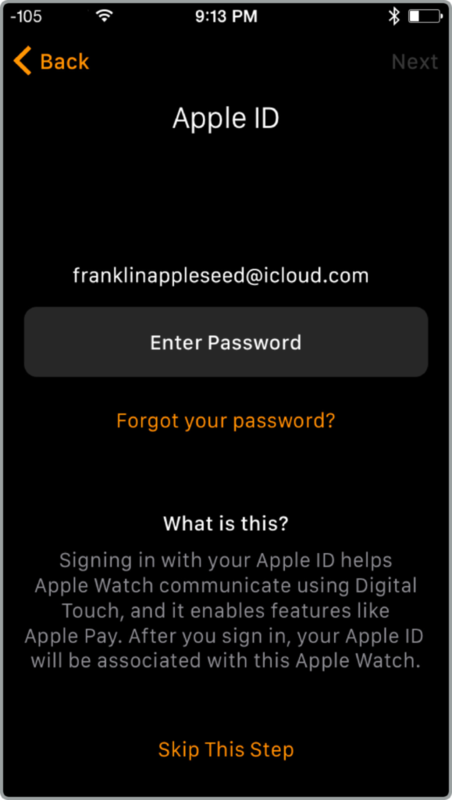 2 Enter your Apple ID username and password. This is a critical step for you to utilize certain features of your Watch. 3 Read and continue through the Location Services and Siri pages, and then decide whether or not to send diagnostics to Apple (your call). 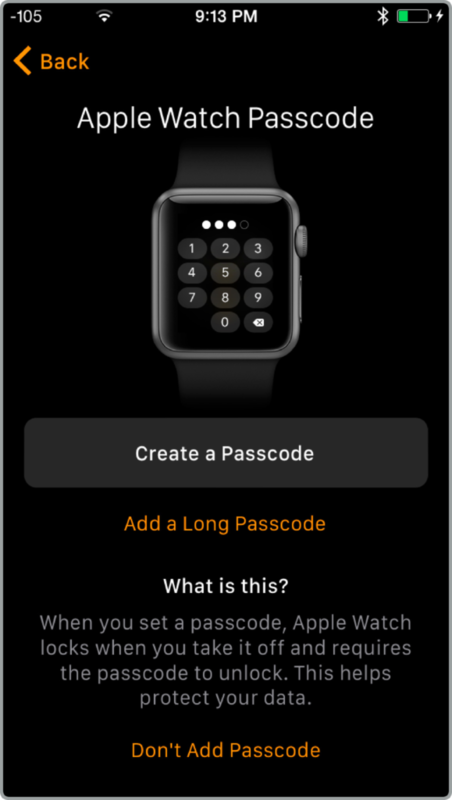 4 Create a passcode for your Apple Watch. It’s advisable not to skip this step, as it is vital to protecting your personal information and finances. 5 Determine whether or not to install third-party Apple Watch apps that are available by virtue of you currently having them installed on your iPhone. 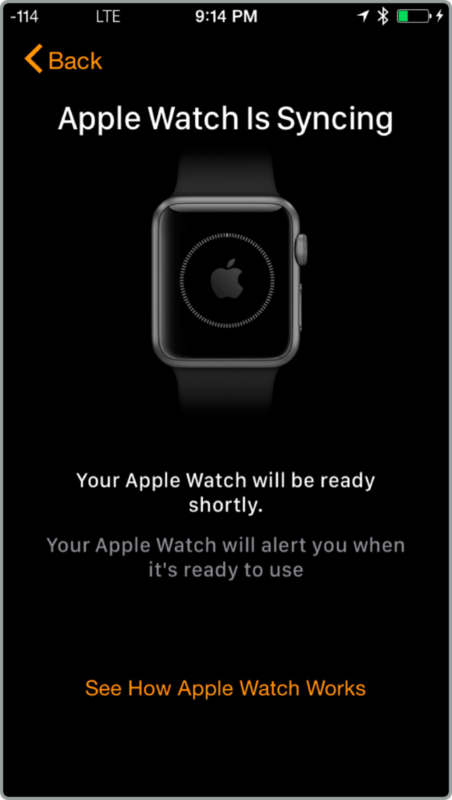 6 Your Apple Watch will begin syncing information between itself and your iPhone. This process may take a while depending on how much information is being exchanged. 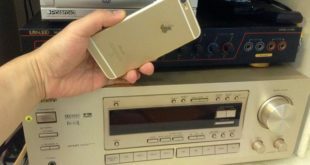 Once syncing is finished, tap OK on your iPhone. 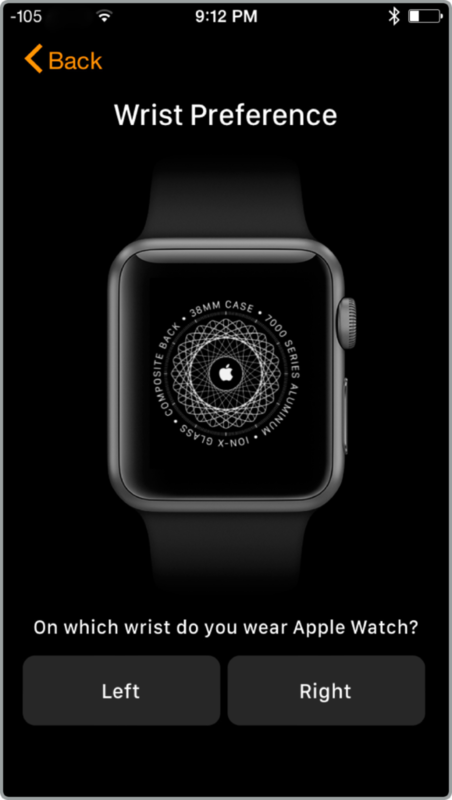 • You want to use your Apple Watch with a different iPhone. • You need to restore your Apple Watch to default settings. 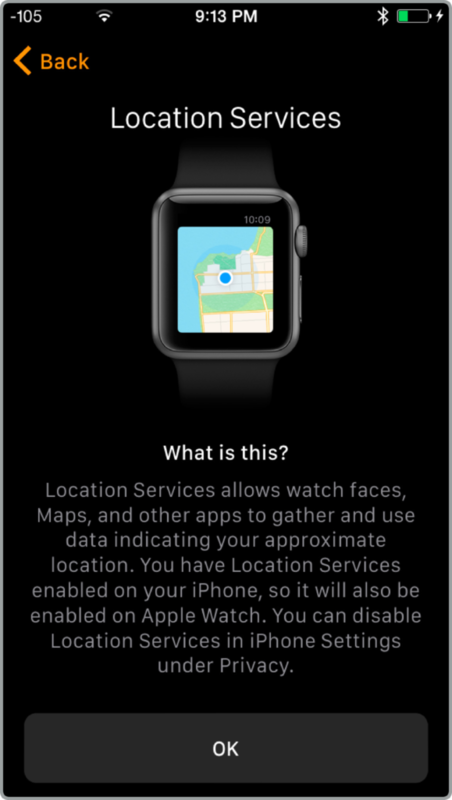 • You want to create a backup of your Apple Watch’s settings and information. • You’re troubleshooting connection issues. 2 Tap the My Watch tab at the bottom left corner of the Apple Watch app. 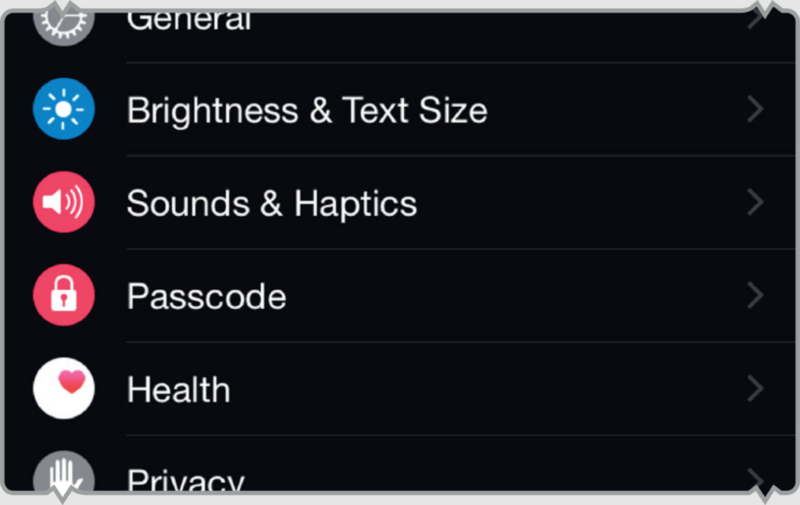 3 Tap Apple Watch in the list of options in the My Watch tab. 4 Tap the Unpair Apple Watch. 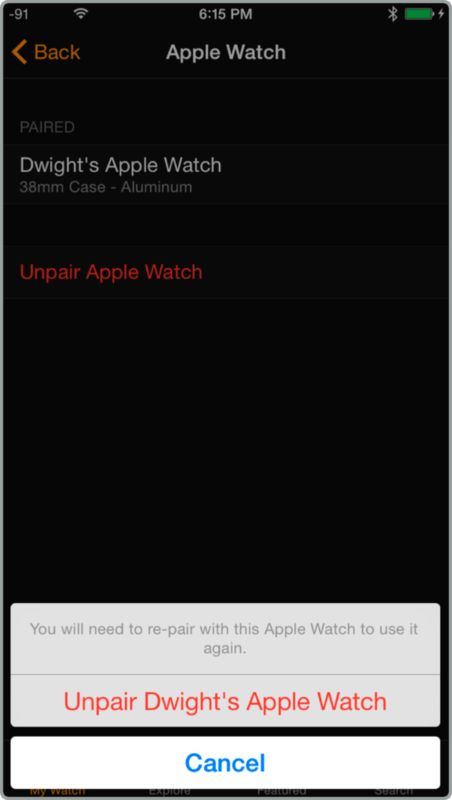 5 Verify that you do indeed want to unpair the devices by tapping Unpair Apple Watch at the bottom of the screen. You won’t be able to use Apple Watch once you unpair it from an iPhone. You must pair your Apple Watch with an iPhone to use it. That doesn’t mean the devices must always be in proximity to one another, as you can use Apple Watch for some functions without having the iPhone anywhere around. 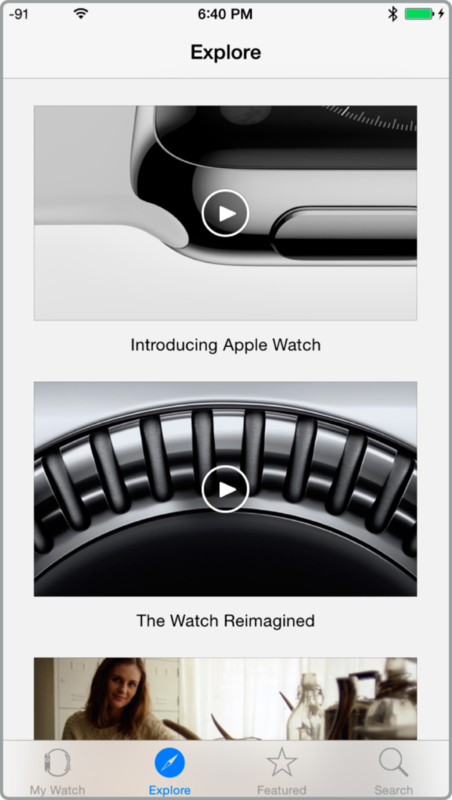 The Apple Watch app on the iPhone is where you go for everything Apple Watch related. 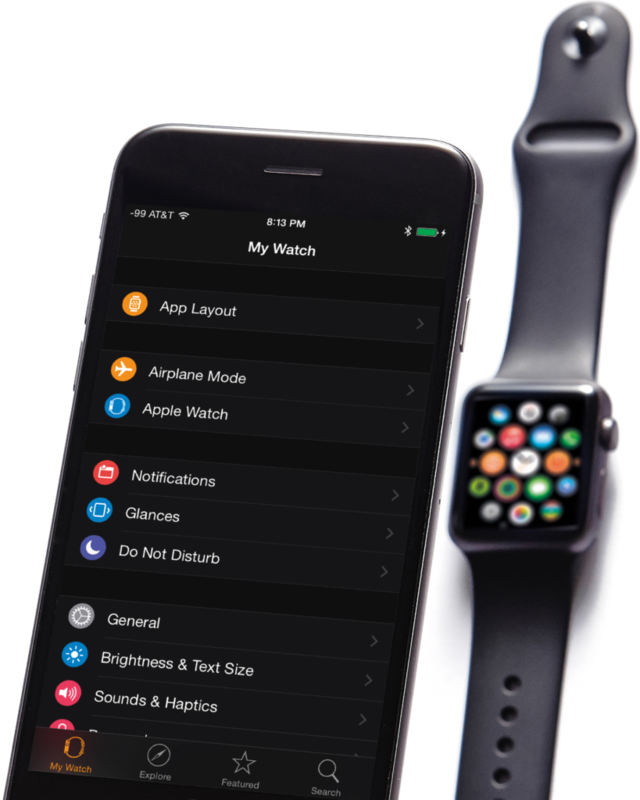 From downloading apps to customizing your settings, the Apple Watch app has you covered. If you’ve updated your iPhone operating system to iOS 8.2 or later, you have the Apple Watch app. 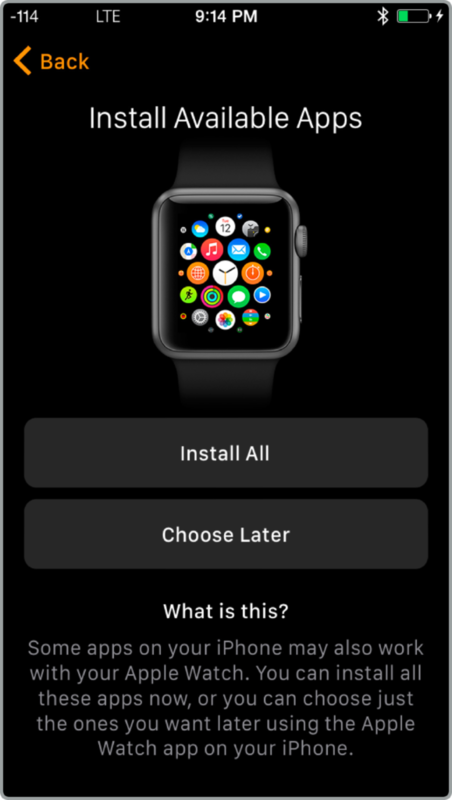 This app has four main tabs, or sections, that allow you to configure your Watch settings, learn more about your Watch, and download and manage Watch apps. The My Watch tab is the main hub for configuring your Apple Watch’s options. 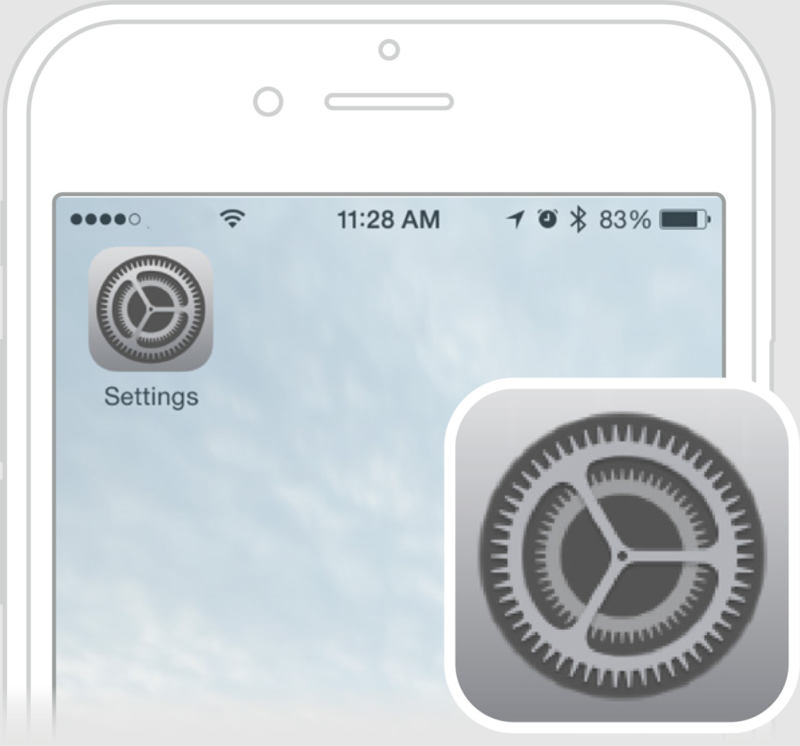 This is where you’ll go to adjust settings and preferences. This tab includes video tutorials from Apple on how to use your Apple Watch as well as introductions to the new technologies it contains. 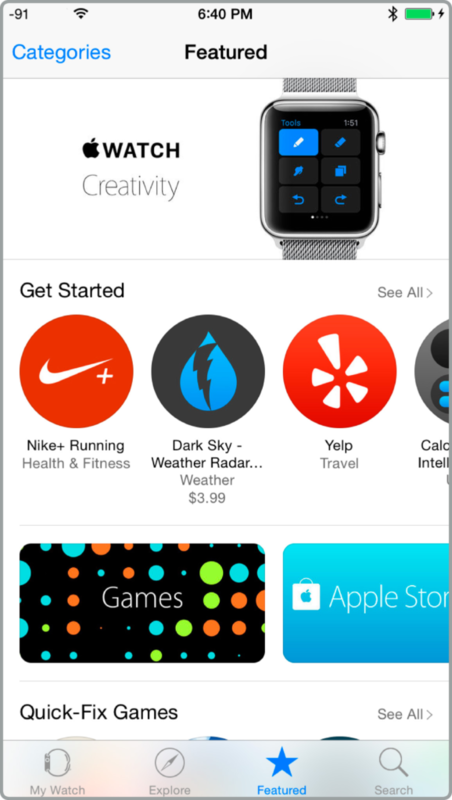 This tab highlights some of the most popular and useful apps available from the Apple Watch App Store. See what’s new and download what you like. If you’re looking for a particular type of app, go to the Search tab. 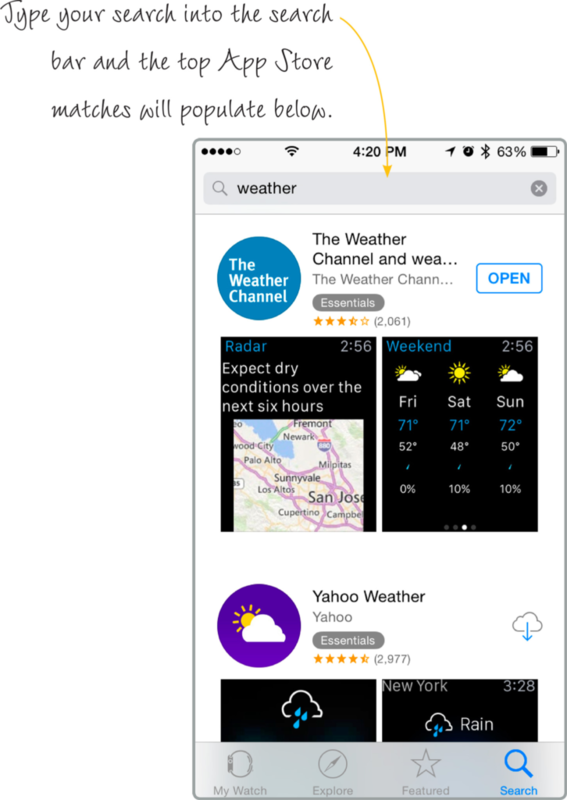 Tap the Search bar at the top of the screen and enter an app name or description. As you scroll through the My Watch tab in the Apple Watch app, you’ll find that there are many options for configuration. The following are some of the options available on the My Watch tab. 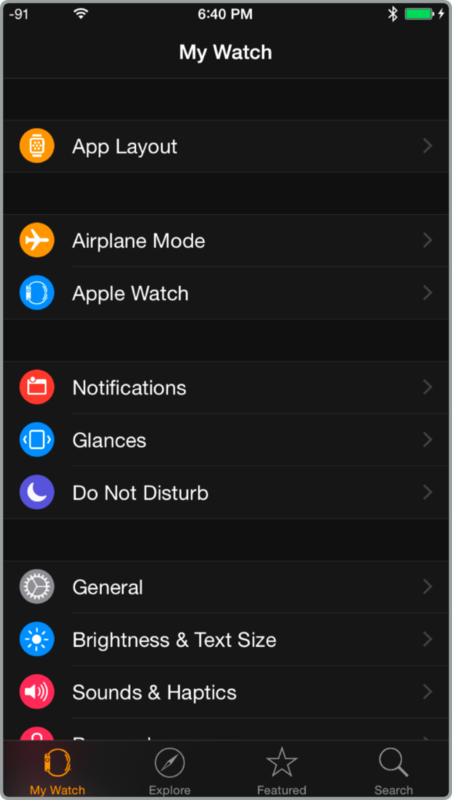 This option helps you arrange apps on your Apple Watch’s Home screen as you like them. Airplane Mode disables Apple Watch communication features that are incompatible with air travel. 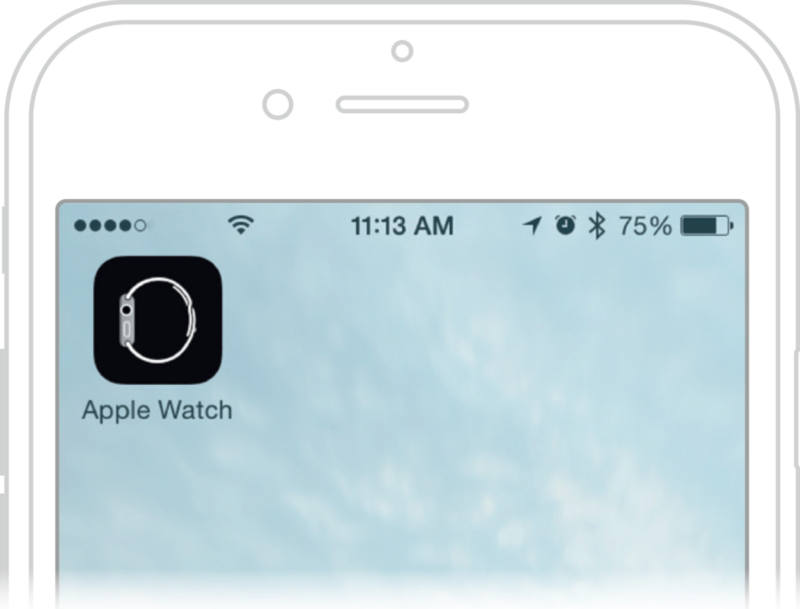 Apple Watch shows which iPhone is paired with your Watch. This section is for configuring options that are particular to the apps that came with your Apple Watch. You’ll see more on your iPhone screen than what’s shown here. Third-party apps may need configuring, too, and this is where you access them. The third-party apps shown on your screen will vary depending on which apps you have downloaded.